There are so many great opportunities to attend senior living conferences! We decided to send our best to Senior Living 100. 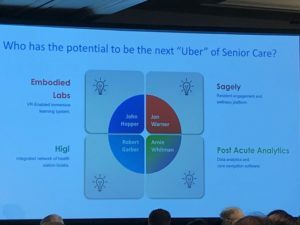 This was a great opportunity to meet many influential leaders in senior living, learn about their pain points, and see how our proven solution for community teams at the delivery of care can also work for management. We are all in this together. 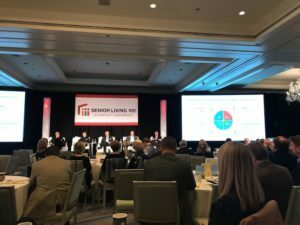 I would say that the biggest take away from the Senior Living 100 conference is that leaders in senior living continue to focus on how to differentiate themselves in the market. There is an emphasis on well-being and care coordination. Sessions focused on Medicare and alternative and emerging ways to coordinate care. Well-being and a holistic approach seems to be gaining traction. More commonly now, it is apparent that organizations are embracing tech, but are still cautious to adopt. As leaders and early adopters demonstrate methodologies for implementing and evaluating tech in their organizations with successful outcomes. Others will be encouraged to follow suit. I heard one community organization make a stance against ageism and encouraged us to refer to seniors as “older adults”. They are in fact just older people. We can get away from the stigma and stereotypes. We are looking forward to participating in our next conference as attending exhibitors at Aging into the Future on April 6 at the Los-Angeles Convention Center. We’ll also be at the Argentum Senior Living Expo from April 15-17 in San Antonio, Texas. What have you attended that were successful and meaningful to you? 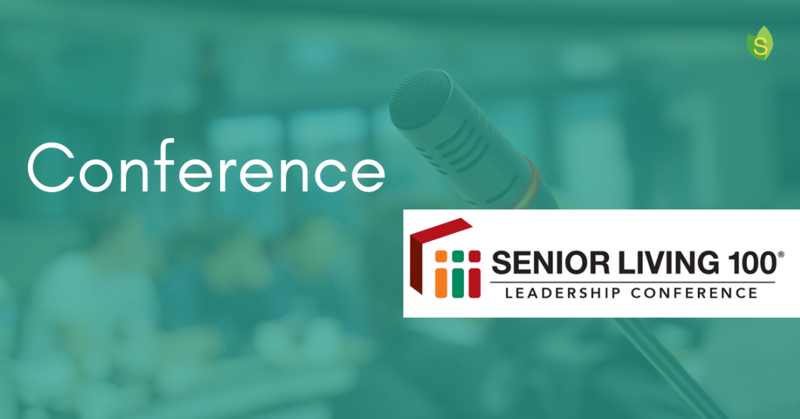 We’d love to hear from you and hope to see you at a senior living conference in the near future. Newer Post [SagelyUserOffer] Customize Resident Profile Fields with Enterprise feature. Older Post [NewRelease] Sagely Community APP 2.0 is here!